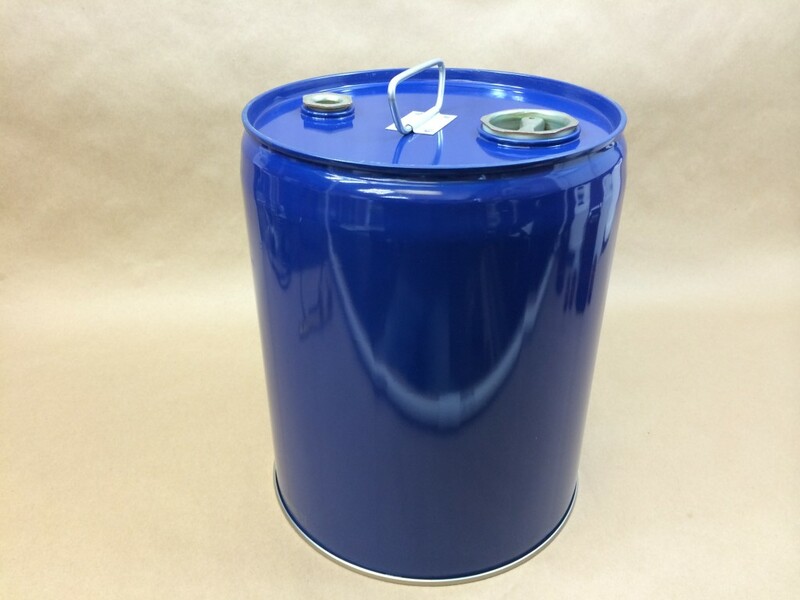 Among the assortment of lined and unlined steel pails available at Yankee Containers is a 5 gallon tight head (cover not removable) dark blue pail (our item# CSCP2-07-0lNILES). 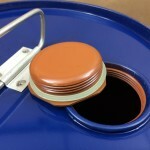 This pail has two coats of red phenolic lining on the interior. 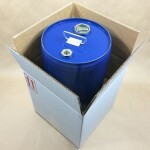 Red phenolic is commonly used when transporting or storing agricultural chemicals, flavors and fragrances, acids, and organic solvents. 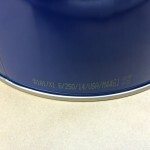 The pail has a UN rating of UN1A1/x1.6/250. The top has 2″ and 3/4″ pipe thread steel plugs. This pail is 24 gauge. The exterior height is 13 11/16″. 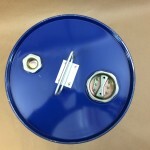 The interior dimensions are L 11 1/4″ inside diameter and H 12 11/16″ inside height. 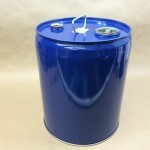 We also carry boxes for the steel pails, sometimes called steel buckets. 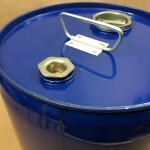 For higher ph materials and products with water, epoxy phenolic linings tend to work better. We always recommend testing if there is any doubt.